Earlier Contact 5 showed you how a Jupiter CEO got scammed using a mobile app that allows you to pay someone using your cell phone. But we found another way you could be scammed by a mobile payment app if you are not careful. WEST PALM BEACH, Fla. - Earlier this morning, Contact 5 showed you how a Jupiter CEO got scammed using a mobile app that allows you to pay someone using your cell phone. But we found another way you could be scammed by a mobile payment app if you are not careful. First, what is a mobile payment app? You may have heard of them: PayPal, Venmo, Cash App, Square. These apps allow you to pay someone without cash, check or card, and hold money in a temporary virtual account until you are ready to transfer it to your real-life bank account. They make paying others extremely hassle-free, but you are only supposed to use these apps to pay and receive money from people you know. They are not supposed to be used for business transactions. Here’s why. Say someone wants to buy that Homer Simpson's clock you listed on Craigslist. They want to pay you $25 using Venmo, but you haven’t downloaded the app yet. You agree and get an email letting you know $25 is in your Venmo account, and all you have to do is sign up to claim it. The buyer walks away with your clock and you walk away thinking you got paid. Five minutes later, however, the buyer voids the charge, and you never got a chance to transfer the money out of the app and into your bank account. According to Venmo's user agreement, you are only supposed to use the app with people you know and not for business transactions. Here is a snippet from their user agreement . VENMO SHOULD ONLY BE USED TO PAY OR ACCEPT PAYMENT FROM PEOPLE YOU KNOW AND TRUST. DO NOT USE VENMO TO TRANSACT WITH PEOPLE YOU DON’T KNOW, ESPECIALLY IF THE PAYMENT INVOLVES THE PURCHASE OR SALE OF A GOOD OR SERVICE. THIS IS CONSIDERED A PROHIBITED BUSINESS TRANSACTION AND IS NOT PERMITTED UNDER THIS AGREEMENT. 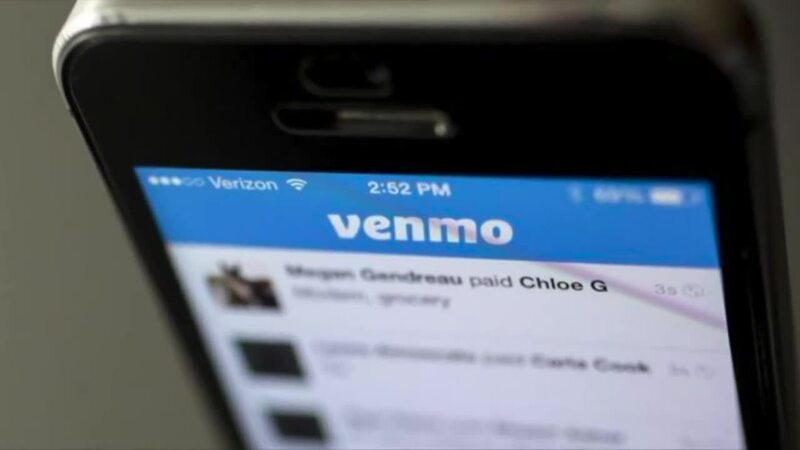 IF YOU USE VENMO TO CONDUCT A PROHIBITED BUSINESS TRANSACTION AND WE LATER REVERSE THE PAYMENT (WHICH COULD OCCUR IF IT IS DETERMINED THAT YOU HAVE VIOLATED THIS AGREEMENT OR IF THE PAYMENT WAS MADE USING A COMPROMISED PAYMENT METHOD OR ACCOUNT), YOU COULD LOSE BOTH THE UNDERLYING GOODS SOLD AND THE FUNDS PREVIOUSLY RECEIVED FOR THEM. Venmo issued the following statement, after reaching out to them for a comment. We never lose sight of the fact that we’re entrusted to look after people’s money. Our most important job is to protect our customers and provide a safe experience. Venmo is designed for payments between friends and people who know and trust each other. Avoid payments to people you don't know, especially if it involves a sale for goods and services (like event tickets and Craigslist items). These payments are potentially high risk, and you could potentially not receive what was paid for. If you want to sell your Homer Simpson’s clock to a stranger, consider accepting cash, a cashier’s check or using PayPal. The company offer’s purchase protection for a small percentage of the total transaction price. Read more on the differences between mobile payment apps here.